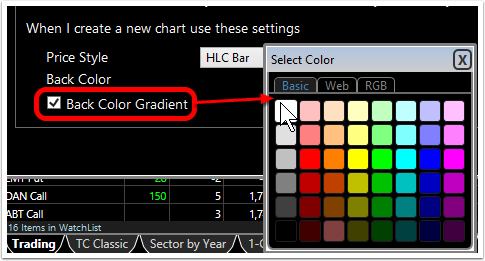 Chart style involves chart color settings and price plot style. 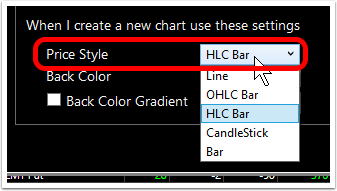 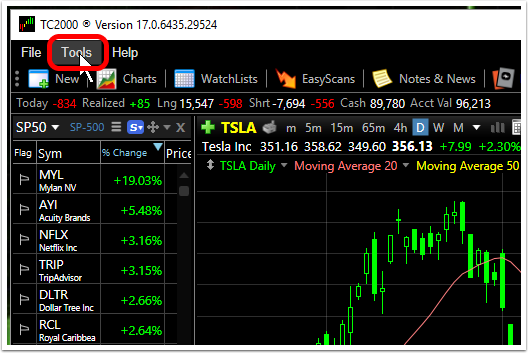 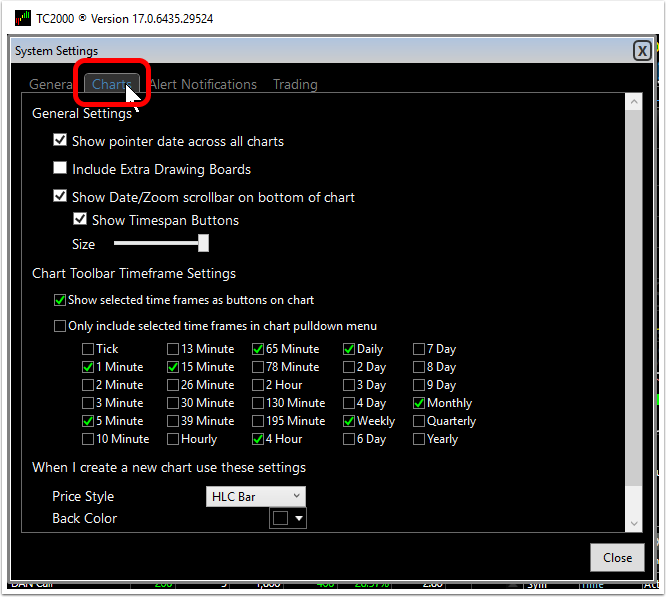 A default can be set for any new chart opened in TC2000. 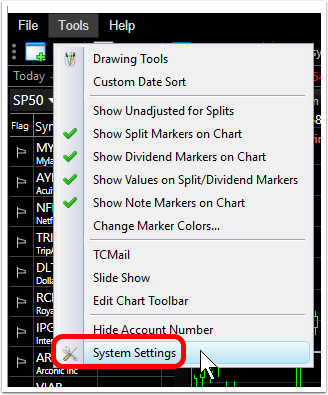 Here are the steps for setting that default. 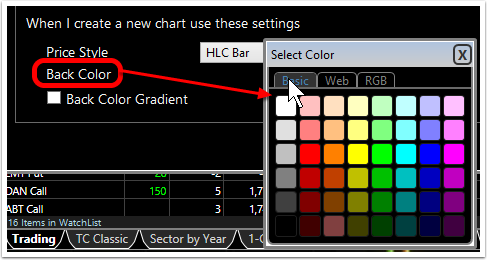 Place a checkmark in the tick box to apply the optional background color gradient. 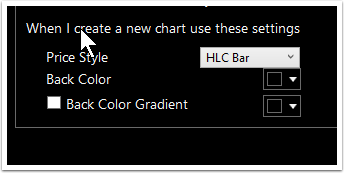 Use the color grid to set the gradient color.